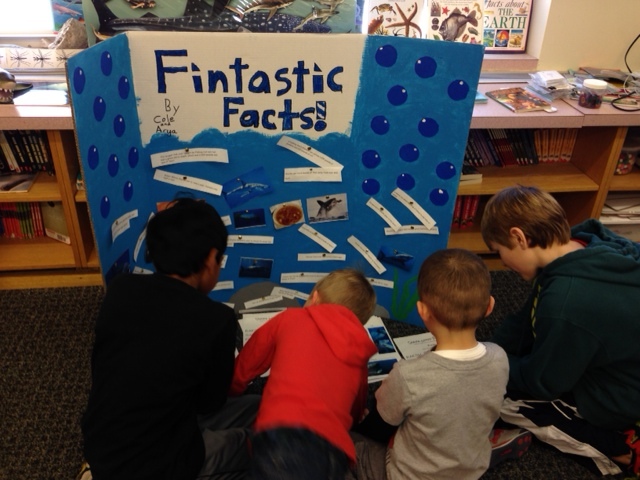 Students preview their exhibits with buddies. 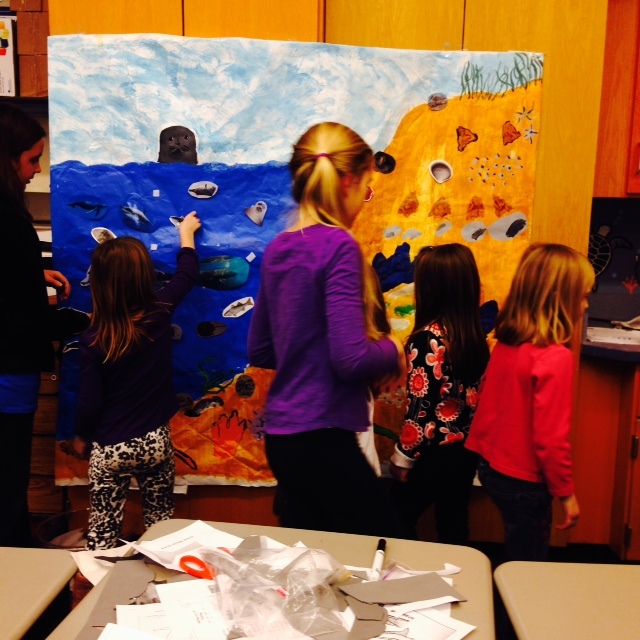 Buddies add land, sea, and air critters to the coastal mural. 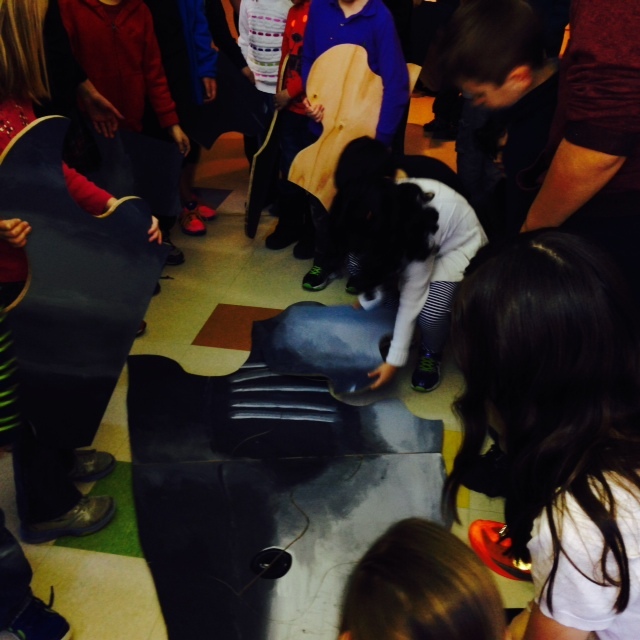 5th graders help buddies piece together “Rocky”, a 17ft. 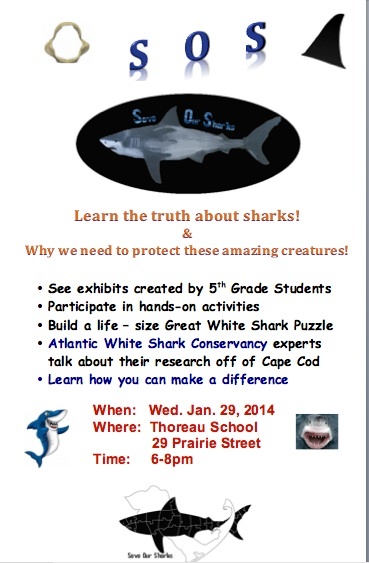 Great White Shark puzzle. 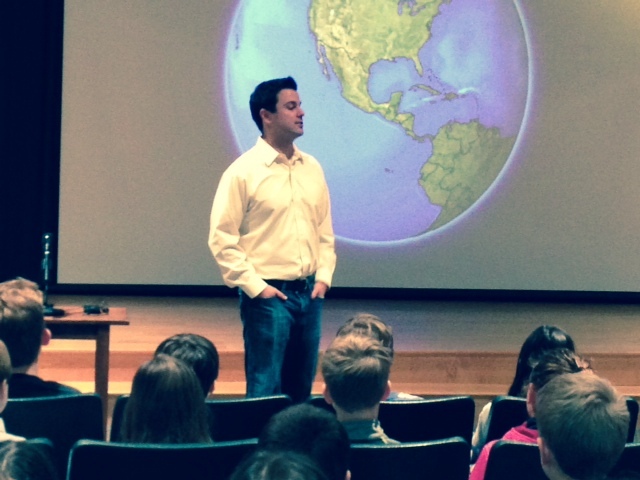 Chris Lambert, Meteorologist for Channel 7 News visited the elementary schools yesterday. 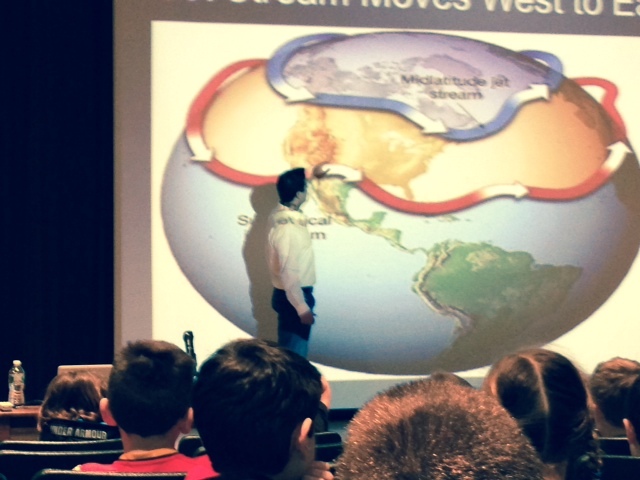 Chris met with all the 4th grade classes and shared the technology he uses to predict the weather. The kids enjoyed hearing Chris talk about extreme weather as well as learn how Chris interacts with the “Green” screen.